Dyrberg Kern introduces its Satinelle watch in gold. 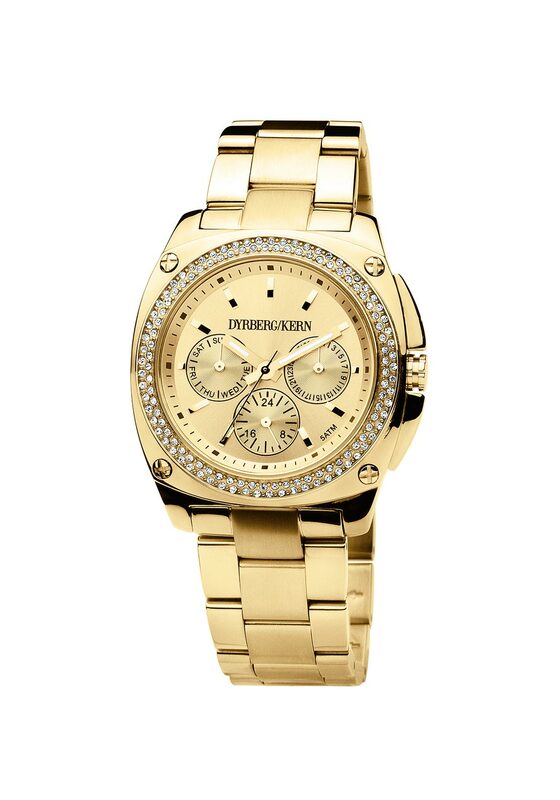 A beautiful sporty but glamorous watch with Swarovski crystals and other elegant detail. There is three sub dials showing day, date and 24 hours.